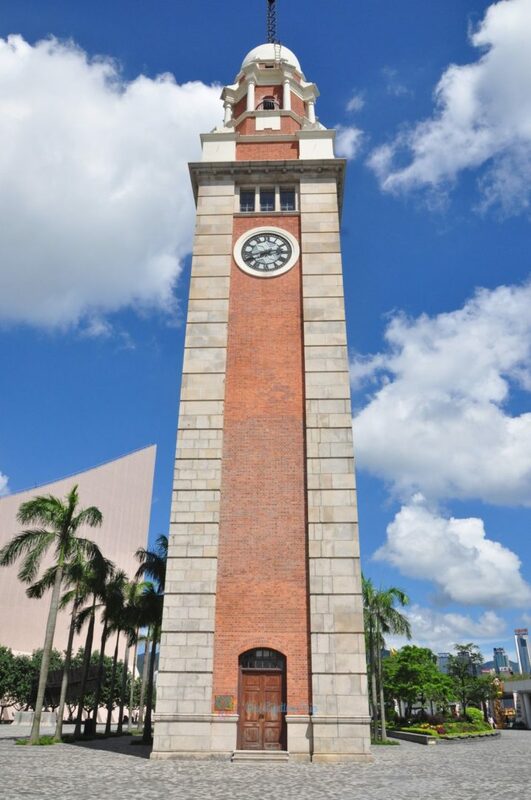 The unique heritage of the city, with its British Colonial past and current connections with the booming Chinese economy, makes it a fascinating place. 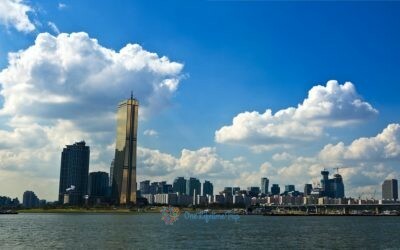 The unusual geography of the city spread out over a peninsula and many small islands in the Pearl River Delta leads to some great opportunities for sightseeing. Read on to learn about the top things you need to know when visiting Hong Kong. 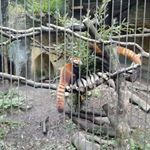 Hong Kong has multiple options for finding a cheap or expensive place to stay, could be expensive but you can fit also on a budget. If you don’t have worry about your budget can book plenty of hotels rooms and hostels on www.booking.com or www.agoda.com. If you are looking for a really cheap hostel we recommend HK Downtown Backpackers where prices can be as low as 15$ for double bed. For a 4 star hotel we recommend Bay Bridge Retreat for only 85$/night for two , but if you are looking for a 4 star hotels with all inclusive we highly recommend The Salisbury Hotel where price goes for about 200$/night. Hong Kong is a Special Administrative Region (SAR) of China, which means that while it is technically part of the People’s Republic of China, it is self-governing and follows a lifestyle and laws that are a blend of Chinese traditions and remnants of the British Colonial history. Located on the south coast of China it is situated on the east coast of a river delta and faces the South China Sea. 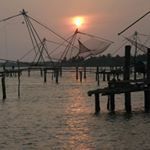 This access to the sea is a major influence on the city. It started as a transhipment port for incense wood, from which the city gets the Chinese name which literally translates to “Fragrant Harbour”. Today it remains a major world port and, like all big ports is multicultural, with people from all over the world living and doing business in the city. Hong Kong consists of Hong Kong Island, holding the main business district known simply as “Central”, the Kowloon Peninsular where you will find many tourist facilities, the more rural “New Territories” plus the Outlying Islands which number over 200, though only four are often visited. A direct flight of around 12 to 15 hours will take you to Hong Kong from most European capitals or from the west coast of the USA. Even if coming from another part of China flights are the usual way to arrive. 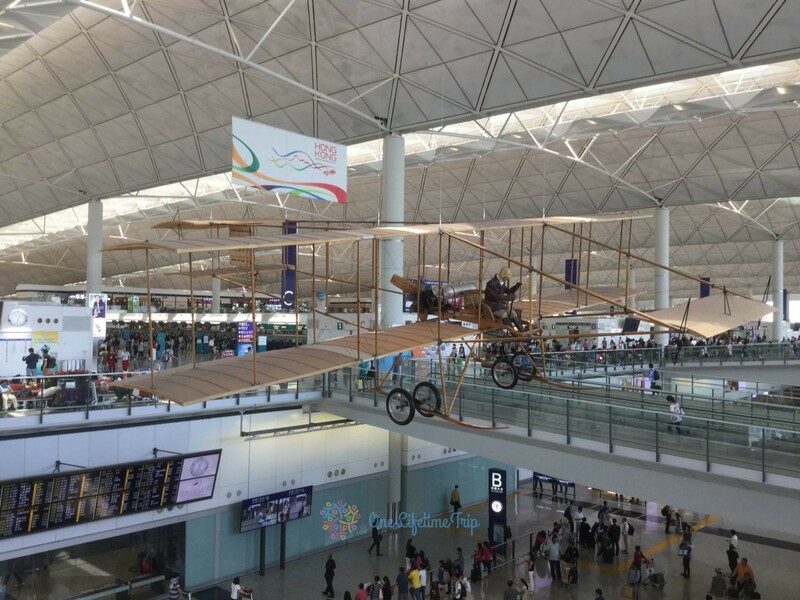 All aircraft land at Chep Lap Kok on Lantau Island, which is 25 minutes by Airport Express train to the city. 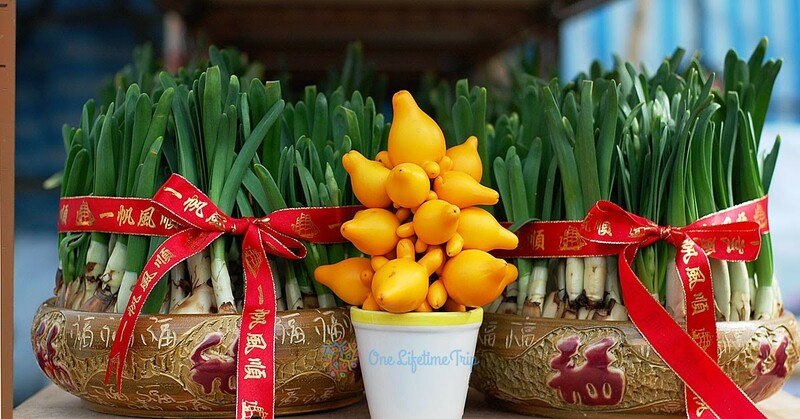 There is a busy calendar of holidays and events in the city as it combines European traditions such as Easter and Christmas with those from the east including Chinese New Year and the Buddha’s Birthday. The Chinese New Year festivities include three days of public holidays when banks and offices are closed, as well as large amounts of decorations in the streets that are great to see. 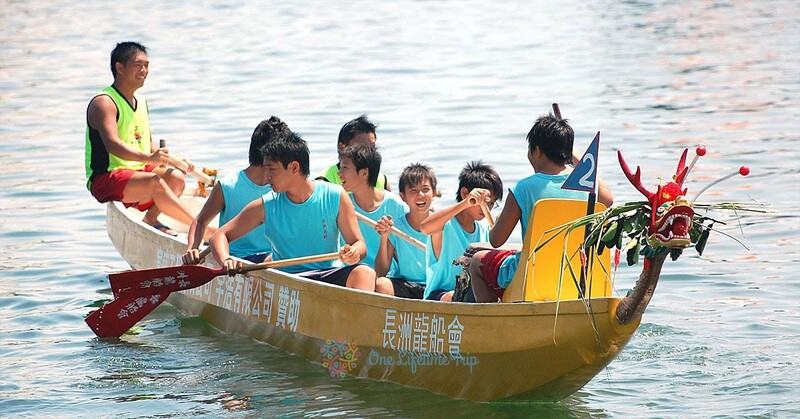 As it is a lunar calendar event the dates vary from year to year but in 2019 will be on the 5th of Feb.
Dragon Boat Festival happens during the summer and puts on a great if very wet show. There are special rice dumplings to eat, and the highlight is the races of Dragon Boats which are paddled by enthusiastic teams across many different stretches of water. Another lunar event this one is on 7th June in 2019. Christmas in Hong Kong is widely celebrated as a family and gathering event despite it not being a majority Christian city. Decorations in shops and hotels can be just as elaborate as many European destinations. The weather at this time of year is also cool and dry which makes it a great time to visit. For a complete list of dates for the coming year check out this calendar for HK Festivals in 2019. Hong Kong is well known for the cheap and efficient public transport. 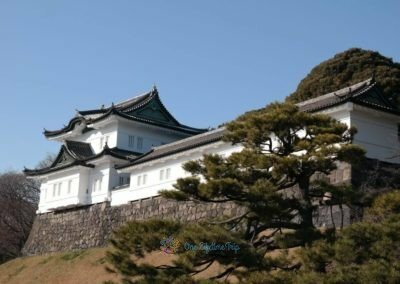 Although the area of the city is large and extends into the rural countryside and to the “new towns” which provide accommodation for millions of people it is very easy to get around and doesn’t cost much. The primary systems of transport are the Mass Transit Railway (MTR) which combines underground and overground rail services, the extensive bus network of modern airconditioned busses many of which are a double-decker, and the fleet of ferries that takes people to and from the outlying islands as well as across the harbor. Anywhere that can’t be reached by one of these will be accessible by the clean and efficient taxi service. The “Red” taxi of Hong Kong is an iconic image, but they actually come also in Blue (for Lantau) and Green (for New Territories) varieties. 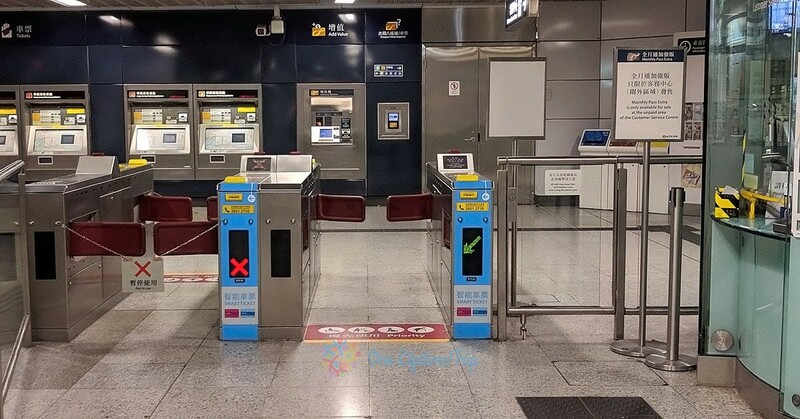 Except for Taxis public transport can all be paid for using a contactless Octopus card. Get one at the Airport when you arrive from the Airport Express ticket desk, and you’ll be able to travel everywhere with a minimum fuss. 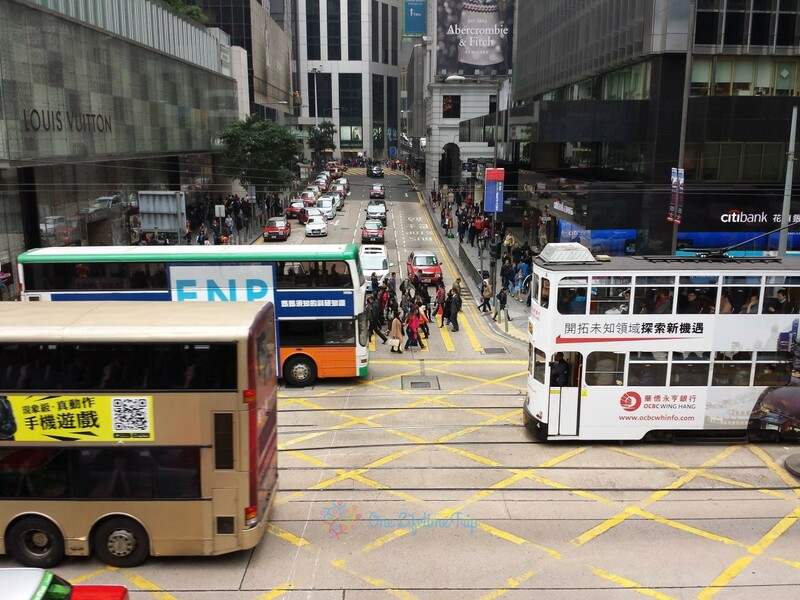 Find your route using either Google apps, which knows about Hong Kong bus and train schedules, or use the official government transport website (http://hketransport.gov.hk) which also lets you find routes using less common forms of transport such as Green Mini Bus. 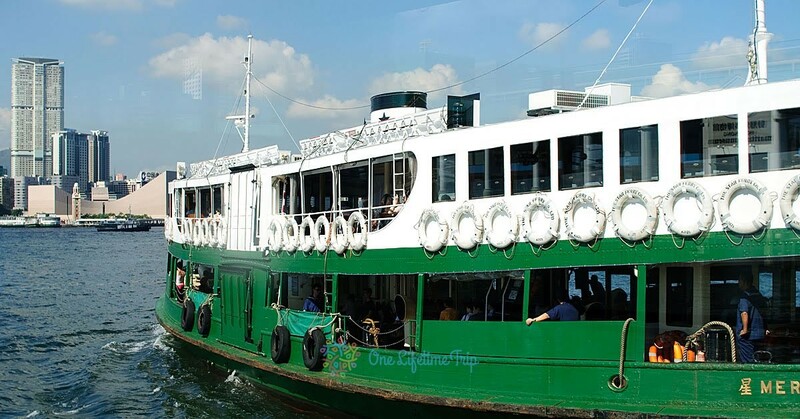 The Star Ferry ride across Victoria Harbour is the world’s cheapest sightseeing boat. The Hong Kong Trams ( go through business and residential districts of Hong Kong island in a 1920s style electric tram. Take either the tourist tram with commentary or just the regular commuter tram to travel like a local. And finally, when visiting Victoria Peak, the #1 destination for Hong Kong visitors, use the Peak Tram which is really a cable pulled funicular. But get there super early to avoid the crowds, such as 8 am. 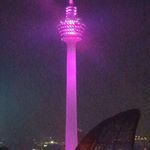 Alternatively, go very late such as at 9 pm when the crowds are less but the night view is still great. Hong Kong is one of the shopping destinations of the world, with a reputation for a cheap and wide range of goods people come here just to buy things. From high-end boutiques and branded goods to street markets you’ll find something for everyone here. Unlike many Asian destinations, major discounts by bargaining is not common in Hong Kong, except for in markets which cater to tourists. In normal shops the price is the price, though rounding down for multiple purchases is accepted. 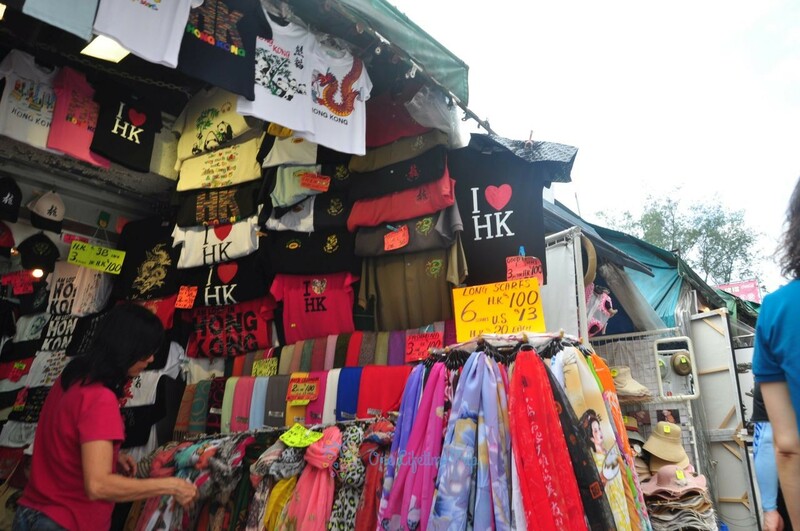 Ladies Market – Located in the busy district of Mongkok this row of stalls along Tung Chung Street sells every kind of fashion and accessory item you can imagine. As well as many souvenirs and tourist items you’ll find look-alikes of famous brands and designs. Stanley Market – On the south side of Hong Kong island this market combines tourist items with art, toys, and clothes. If you want some Chinese handmade lace tablecloths, then this is the place to go. After shopping walk out onto the promenade for some fantastic international alfresco dining options, and walk past the historic Murray Building and Blake Pier to the public park. Cat Street Market – For look-alike antiques and curios visit this small lane just down the steps from the Man Mo Temple in Hong Kong’s Mid-levels. The proper name of the road is Upper Lascar Row, but everybody calls it Cat Street. 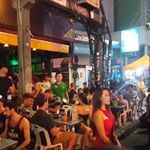 Temple Street Night Market – For nighttime entertainment, cheap shopping, and spicy crab dishes go to this busy Jordan market. Arrive after dark and stay till midnight, don’t forget to have your fortune told by one of the fortunetellers outside the car park building. 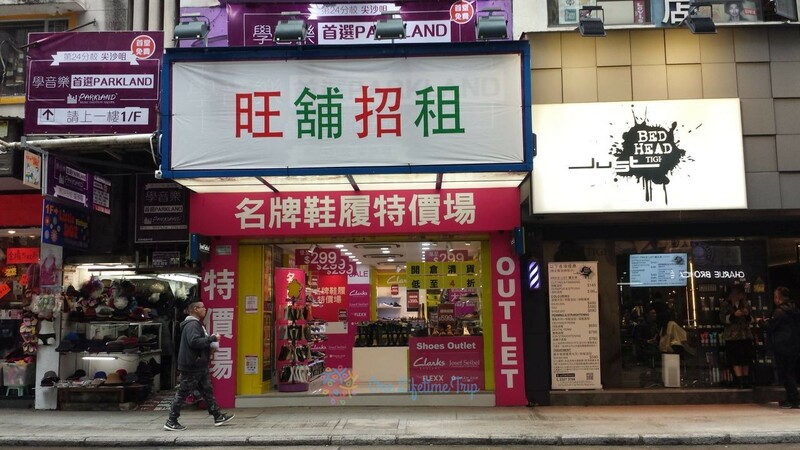 Fashionistas who are looking for a discount should get away from the brand name malls of Central and Causeway Bay and instead go to some of the smaller shops such as those along Granville Road where you can find the latest Korean and Japanese trends. If discounts on real branded items are on your list, then factory outlets sell things from major brands. Try the CityGate outlet near the airport or for even better deals travel on the MTR past the fishing village of Aberdeen to Horizon Plaza. After your trip there stop for a meal at the one and only Floating Chinese restaurant in Hong Kong in Aberdeen Harbour, the Jumbo Floating Restaurant. Hongkongers love their food and while you are in the city don’t miss the chance to partake of the many different cuisines from around China and the world which are available here. 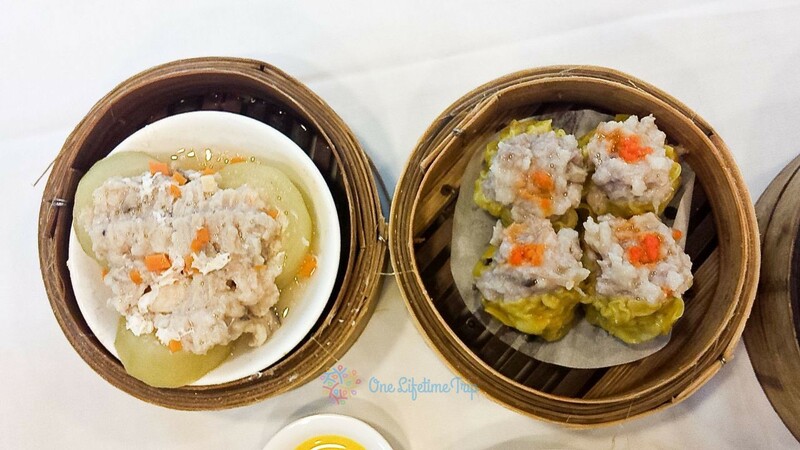 The best example of a Hong Kong style of dining is “Dim Sum”, a collection of small plates which is eaten for breakfast or lunch. Many of the choices are steamed in small bamboo baskets, with 3 or 4 individual servings in one basket. Try the Maxim’s Palace restaurant in City Hall for an authentic but tourist-friendly experience at dim-sum. The various dishes are displayed on wheeled carts which the waiters push up to tables for you to choose. Just point at something that looks tasty and have a try! The multicultural citizens of HK love many kinds of International Food, and if you want anything from Korean BBQ or Italian Pasta, you’ll find it here. 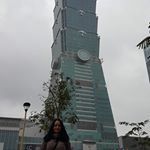 The hot spots for international dining are in Tsimshatsui, in and around Nathan Road, on Hong Kong island in SOHO near Hollywood Road, and in the shopping and entertainment district of Causeway Bay. 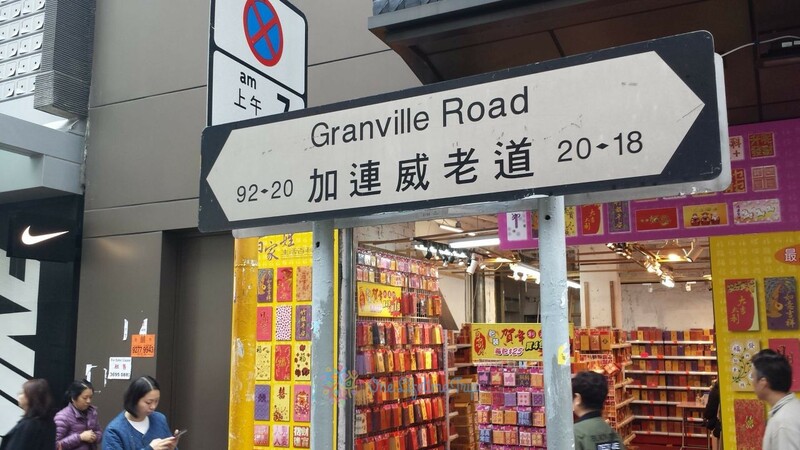 If you’ve been to Hong Kong before and Victoria Peak and Stanley Market have lost their charm then branch out to one of the less known destinations. 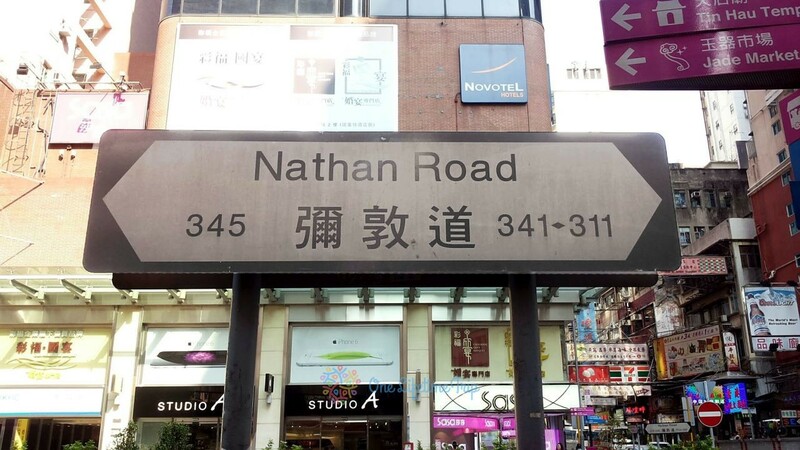 Shatin is one of the ” new towns ” and mostly residential, but because of that, there is excellent transport by rail or bus to the area. Once there skip the IKEA furniture super-store and head out instead to the quirky 10K Buddha Monastery which is not a monastery, doesn’t’ have 10 thousand buddhas, but is a great place to visit anyway. 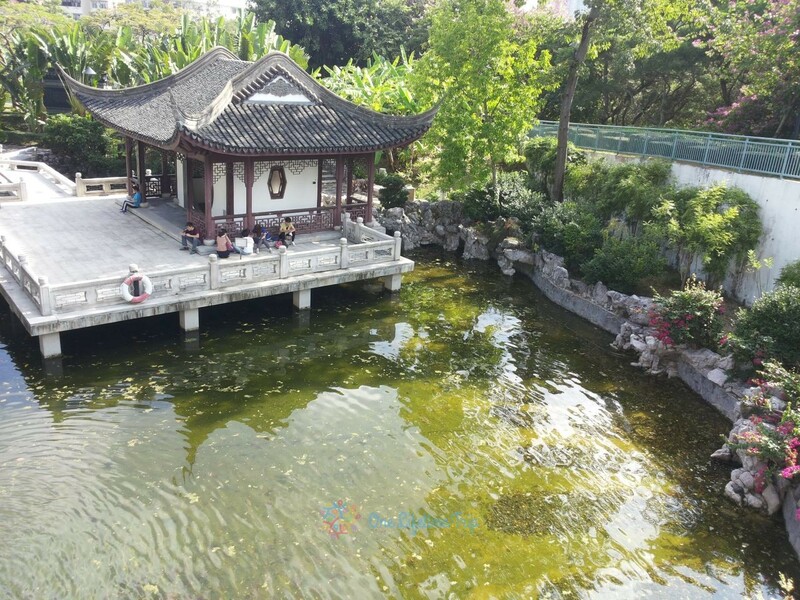 On the way back walk through the Shatin park, a long thin park along the river, and go all the way to the Heritage Museum with fascinating permanent exhibitions about Hong Kong society as well as travelling exhibits from significant collections around the world. The Kowloon City Park sits on the land once occupied by the dreaded Kowloon Walled City, a notorious den of crime, drugs, and death. Today the green park is an oasis in the city and contains rare relics of the pre-colonial times that show the city in context. 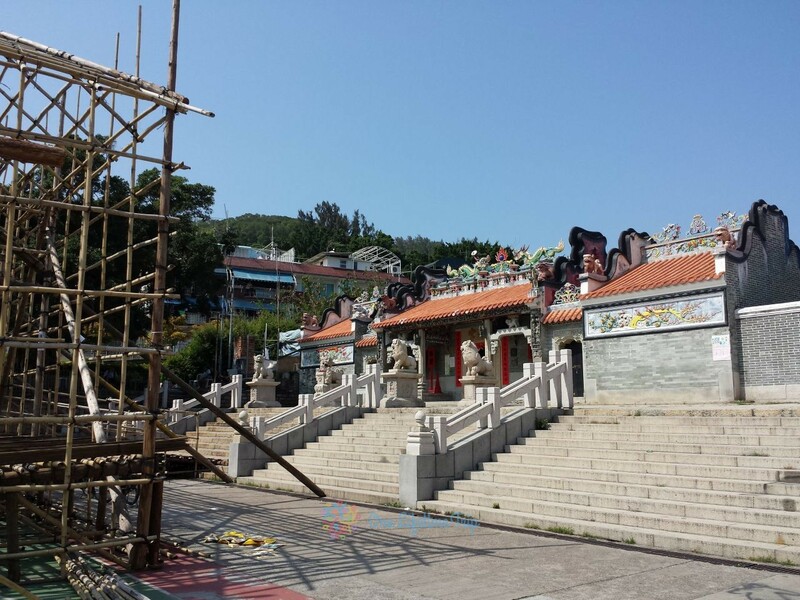 While Hong Kong has many islands, the one with the oldest continuous inhabitation is Cheung Chau. Today an active fishing village, residential town, and hot-spot for street foods it is visited by people from other parts of Hong Kong. Take the 35-minute fast ferry from Central Pier 5 to reach this throwback to a quieter time before the skyscraper. Eat some of the specialties of the island such as curried fish balls, frozen watermelon slices, giant curly potato crisps and our favorite “Mango Moochi”. After topping up on calories take one of the great walks around the hills at the ends of the island, or chill out on the beach. Take the extra 5 minutes to walk past the main Tung Wan beach and visit the quieter Kwun Yam Wan Beach where there is a beach bar and enjoy a beer watching the lights of the Hong Kong city twinkle in the distance over the sea. 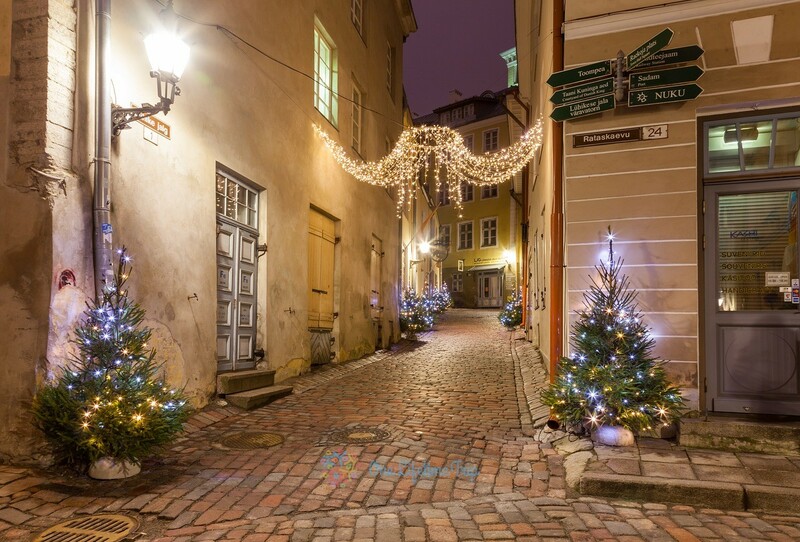 As Christmas approaches, most of the big cities open their Christmas fair, where visitors can have a taste of the Christmas mood weeks before the actual holiday. In almost every part of Europe, there is a great tradition of Christmas fairs with large markets going around. As December is the 12th month we present you with twelve fairs we considered as the finest ones in all of Europe. So for those of you who want to travel in December, you can choose between places that are to your liking. In addition we also included a special bonus event at the end of the article that you may also like. In 1570, the first Christmas fair was held in Strasbourg. Since then, Christkindelsmärik has been placed in the square in front of the cathedral. The famous fair is visited by approximately two million visitors. The heart of downtown Strasbourg, a UNESCO World Heritage site, is beautifully decorated. At the thousand-year-old Notre Dame cathedral, there are 300 small wooden huts, where mostly Alsatian dishes, boiled wine and decorations can be bought. The charm of the fair is that every year they invite a guest country to attend the event. 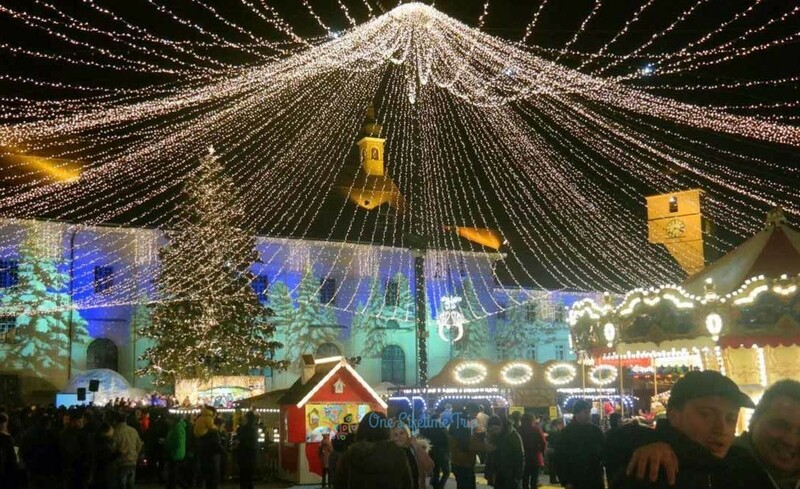 Zagreb won the title of Europe’s Most Beautiful Advent in 2017, the voters last year considered this fair as the most beautiful event of the Croatian capital. There are several venues in the city for advent events. A huge advent wreath is set up in the city center this is the center of the event. 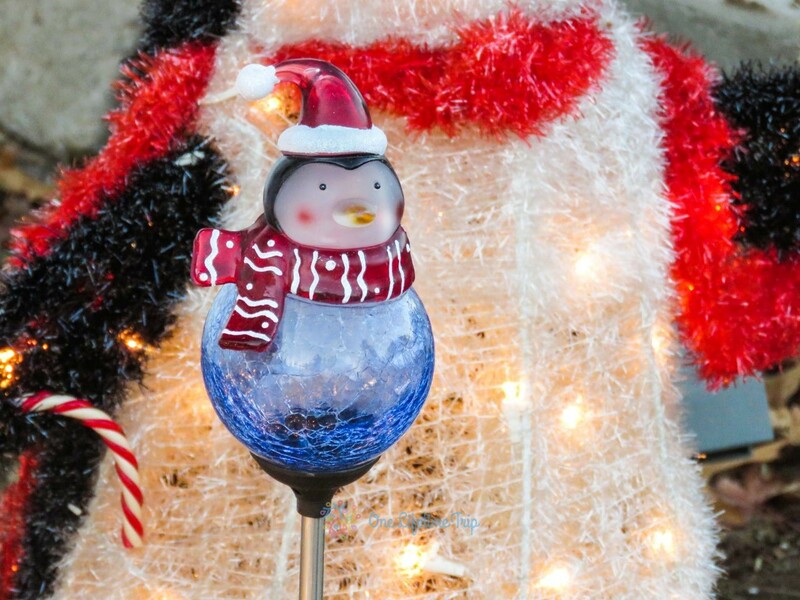 Here and in the surrounding streets you can always find vendors selling mulled wine and the most colorful gift ideas are coming together as they are handmade and yours for the taking to surprise a loved one with them on Christmas day. On the European Square there is a modern atmosphere and a skating rink is waiting for you. The Zagreb advent fairs are part of the Zrinjevac Park. Beautifully lit trees, pavilions, fountains, and live theaters are also located here that make the event a magical one. Christmas Fair stated in 2007 at the initiative of the Association for Events for Tourism, in collaboration with the Office of the Social Attaché of the Austrian Embassy in Romania and local authorities. Usually start middle November and ends after New Year. Here you can taste local and seasonal products as sweets, food, and drinks as mulled wine. 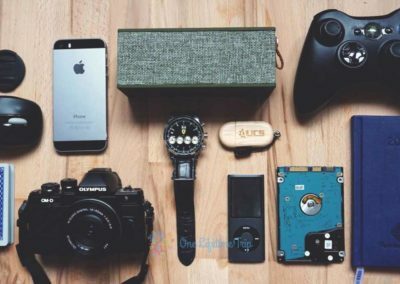 It’s perfect for hanging out with your friend or family because you have plenty of option of entertainment, as rally for kids and adults, carousel and more. Also for kids Santa’s workshop it’s perfect for you if you need a break and for them because they will have fun a lot. Plenty of small wood houses will be opened for you to by food, drinks, souvenirs, presents, winter cloatses and more. During evening plenty of concerts and Christmas carols warm the atmosphere along with a nice projection on surrounding buildings or on The Council Tower. It’s similar with others Christmas Fairs but it’s a good choice to see how local get their mark. Colmar’s small town, located north of Basel, is France’s most beautiful city. The traditional fair will begin at the end of November and will take place in different parts of the old town. 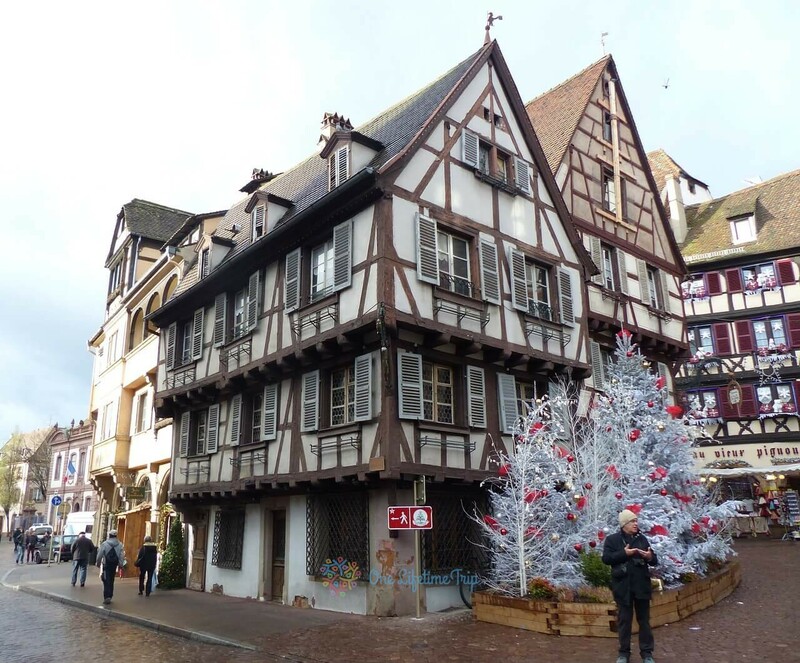 The city of Alsace wines is famous for its gastronomy, lights and handmade items during the winter. 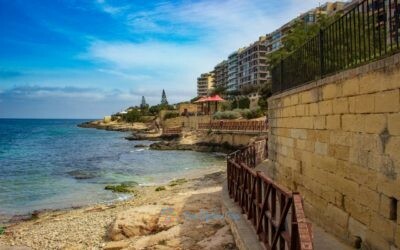 It is a friendly and safe destination ideal for anybody who wants to enjoy a Christmas fair but avoid a huge crowd. Handmade products and special flavors await visitors. The city’s special features are the beautiful ice sculptures. 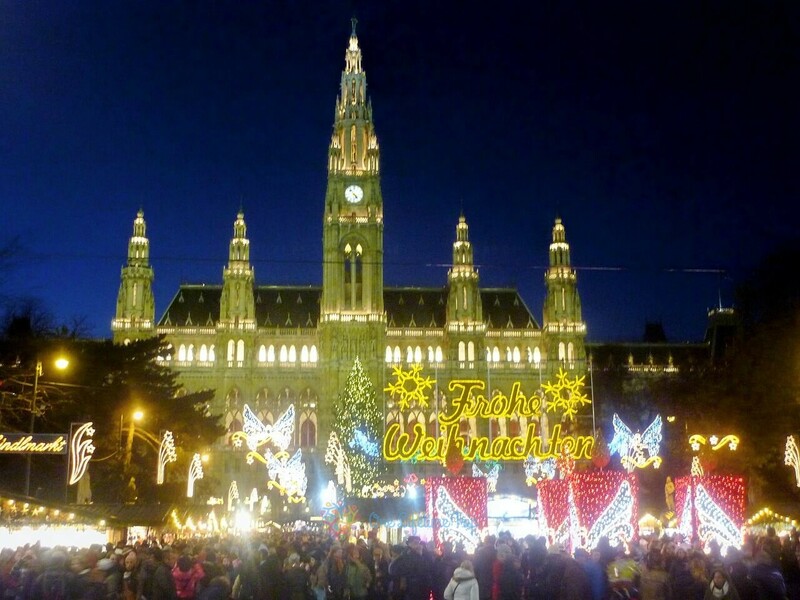 he Wiener Christkindlmarkt, which is attracting thee million visitors a year, is held in the Town Hall Square, it is the most famous and largest Christmas fair in Vienna, but the Rathaus Park, Maria Terézia Square and Karlsplatz are home for also very popular Christmas markets. At the end of the first winter months, the Schönbrunn Palace’s garden also floats in Advent lights, and visitors can taste the gastronomic delicacies of the locals in the park of the castle. 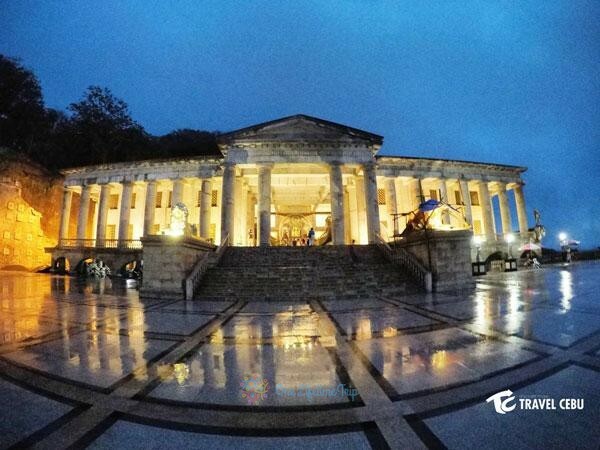 The Viennese Advent Venue in the Garden of Schönbrunn Palace is recommended for those who like to fly back to the past and take a glance at the time of the Monarchy. 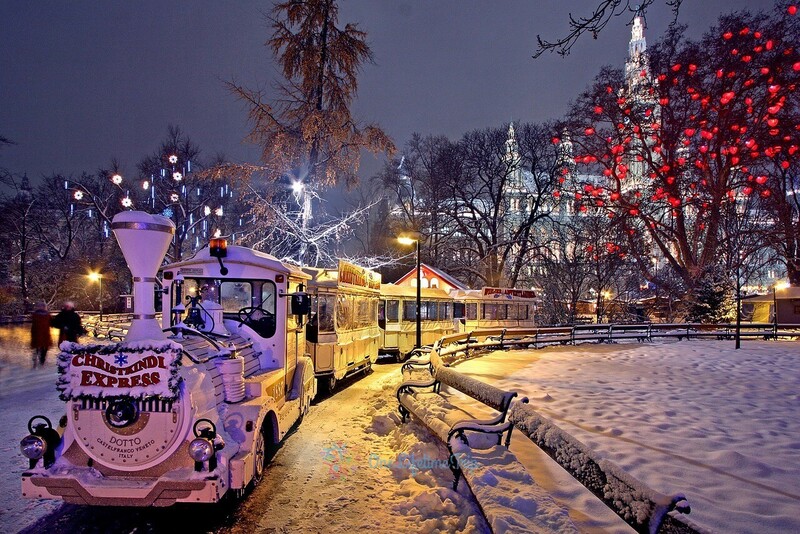 The delightful Christmas Fair of the Hungarian capital cannot go unnoticed. 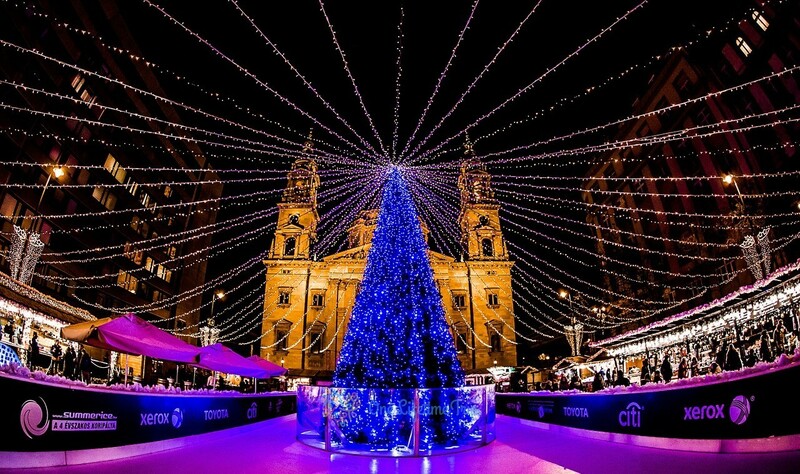 The site is praised for the beauty of Saint Stephen’s Basilica, the hard work of the organizers, the Hungarian handmade products and the 3D light paintings that are unique. You can find here delicious food such as stuffed cabbage, smoky meats, gulyas that is a spicy stew made with beef, potatoes carrots and spices. If you want something sweet try kurtuskalacs, a traditional Hungarian pastry you can also choose your own version may that be sugary, with walnuts or coconut. Somloi galuska, dumplings are another kind of delicious pastry served with chocolate, peach gem, vanilla and chocolate pudding and whipped cream. Aachen lies in Germany, in the North Rhine-Westphalia region, close to the Belgian and Dutch border. The Aachen Christmas Market was visited by one and a half million visitors in 2017. It is located in Aachen’s historic Old Town year by year we can see advent wreaths, lamp and gingerbread statues decorating the area. In addition to punch and mulled wine with cinnamon, the town’s specialty is Bavarian sausage, Belgian fried potatoes and flammekueche a delicious pie. 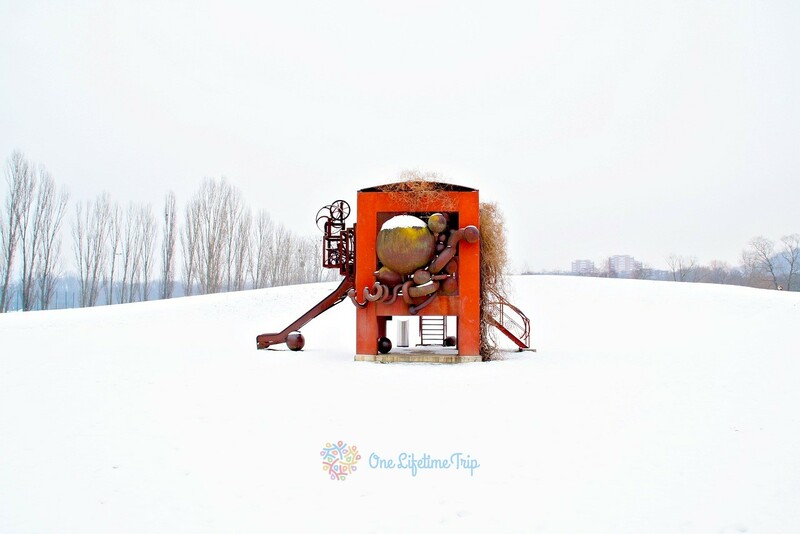 In addition to the giant wheel, the fabulous ice rink and the award-winning shopping venues in Christmas decor, there are countless Christmas attractions and programs waiting for you. Of course, there is no lack of a culinary experience, as specialties from the Swiss cuisine are undeniably delicious. The undisputed highlight of the Advent event is the stage, where good music, laughter and compassion are never missing. The city of winter sports has plenty of programs, events and concerts in the Advent period. In addition to the town hall’s stores, there are hand-made woolen caps, wicker baskets, wooden plates, glassware, buckwheat pillows and local handicrafts that can become wonderful gifts. This Christmas fair is waiting for many visitors every year from around the world. They sure like to celebrate in this time of the year as their fair is open from the beginning of November to the end of January. 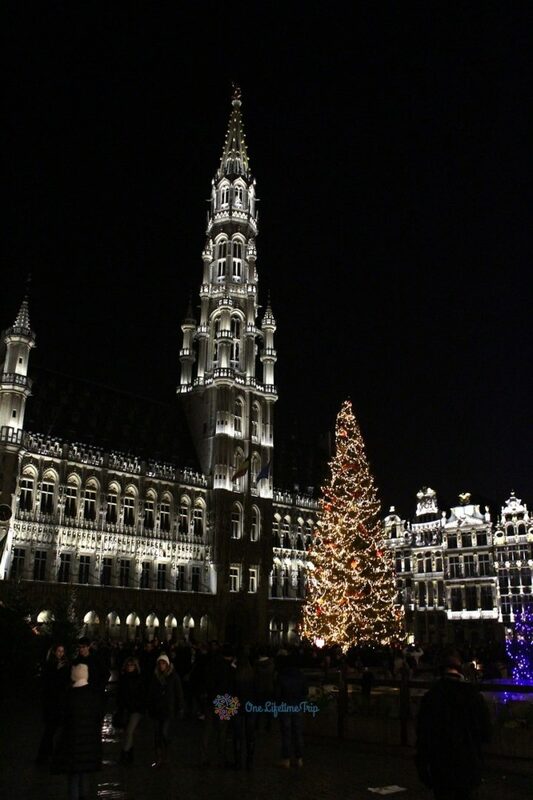 The fair in Brussels has been held since 2002, famous for the event called Plaisirs d’Hiverrol the Winter Celebration. The event takes place on the Grand Place and around the Bourse and the Place Sainte Catherine cathedral. Keeping the Belgian spirit, 240 wooden houses are home to craftsmen and craftswomen from all over the world, announcing hand-made masterpieces and Belgian tradition souvenirs. The fair ends at the Fishmarket, which is converted every year into a long ice skating rink. 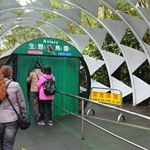 There is also a 49-meter high-speed wheel for lovebirds to enjoy. Prague is rightly called the queen of cities. As of November, there is an adventurous atmosphere in every major area of ​​the city. 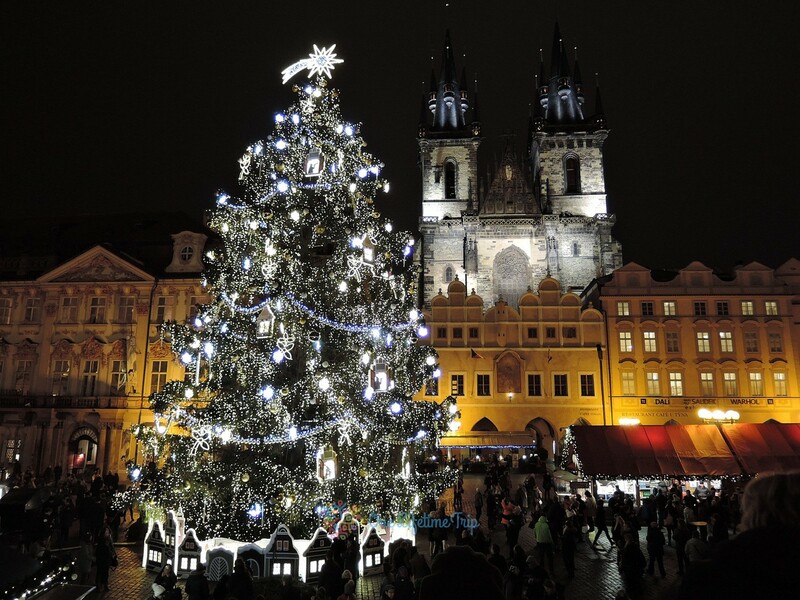 The Czech offer souvenirs and a wide selection of handmade products, traditional Christmas decorations and other souvenirs during their Christmas markets that are in every major square of the city. Interesting things you can find in their Christmas markets are petting zoos where mules, sheep, goats, ponies and even piglets are ready for a treat. If you want to try a hot drink don’t go for the traditional mulled wine Prague has something else to offer and its name is Medovina. It is a honey based drink served hot it has a kick to eat but do to his sweetness you can’t drink a lot of it. 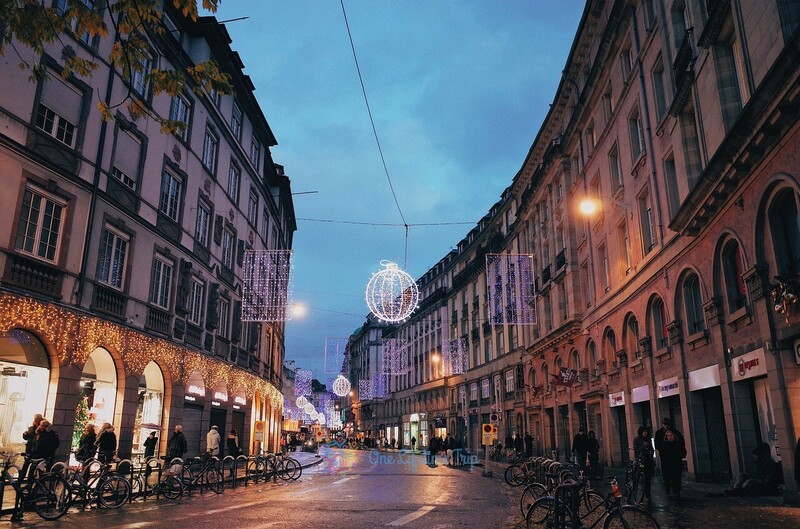 In Munich at Christmas time, the smell of mulled wine lingers in the city center. According to historians, Munich is the oldest German Christmas fair, records show it was already held in 1310. Of course, beer in the Bavarian capital was mainly consumed, but naturally, the mulled wine also played a big role. Marienplatz is the famous busy square that is decorated for the big event; there are around three million people in the Advent period here. 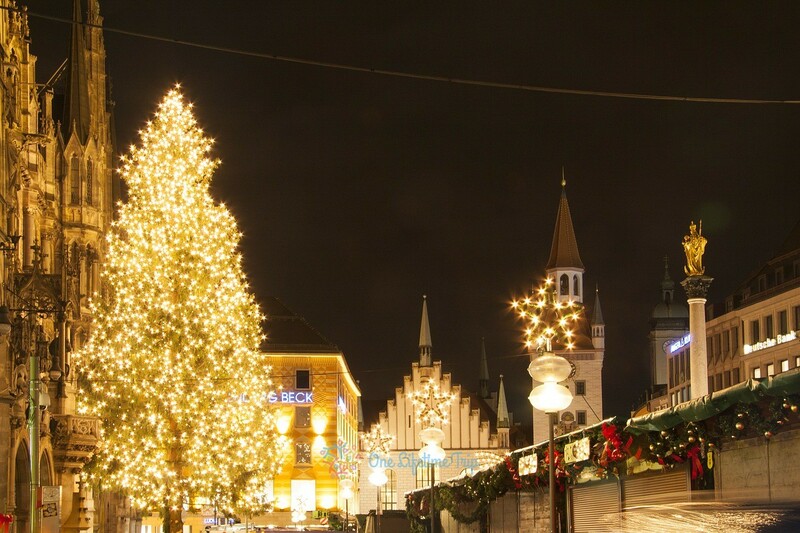 The Christmas Market in Munich is open from the 11th of November to the 24th of December. 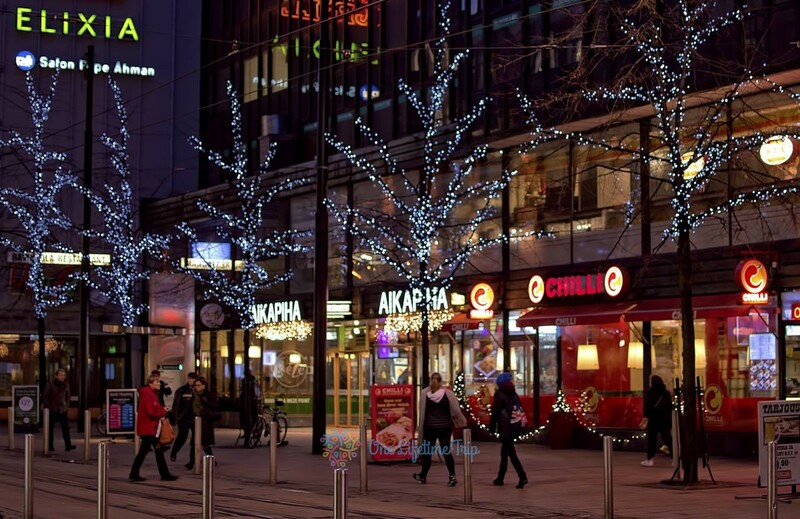 In Helsinki you can even meet Santa Claus in one of Finland’s largest parks, the Esplanade Park, It is the largest Christmas market in Finland, where more than 120 booths and celebrations are waiting for you. The little ones can even meet with Santa Claus and tell him if they have been naughty and nice and what kind of present would they want. The quality handmade products available here can stand under any Christmas tree. The huge Christmas market is open in Helsinki from the 3rd to the 22th of December. If you are wondering about the promised special event prepare yourself for a treat; as this is non-other than the famous Lyons Light Festival in early December. On the second weekend of December, if you really want to see a great miracle then you will be heading to Lyon, France. The Fête des Lumières, the Light Festival, has been making sure since 1999 that visitors remain astonished every year at this event. 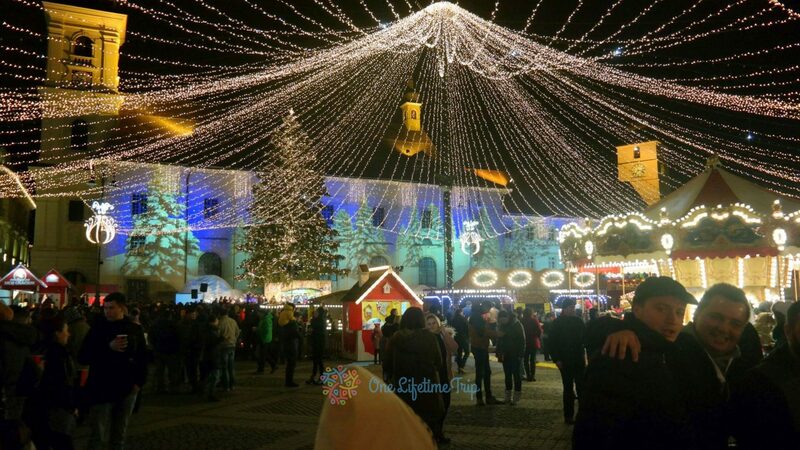 This year, the festival will take place between the 8th and the 11th of December, during these four nights in addition to the spectacular light installations that cover all the renowned sights of the town the event is also beckoning that Christmas is just around the corner. We know it is not an easy decision but we are sure that you won’t regret visiting one of these magnificent Christmas Markets whatever your decision will be. So pack up your bags and get ready for a wonderful experience during this special time of the year. 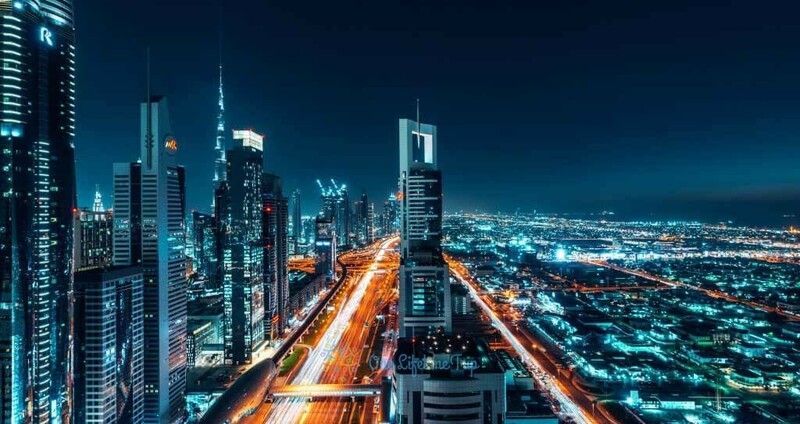 From the night safari in the Arabian Desert to the countless night clubs, Dubai is surely going to surprise you on your visit during night time. Dinning in the best restaurants in Dubai is one of the most interesting things you can do during night in Dubai. These restaurants are famous for offering vintage drinks, mouth-watering food, and incredible view. For couples, there is a special setting that would make your night a romantic one. 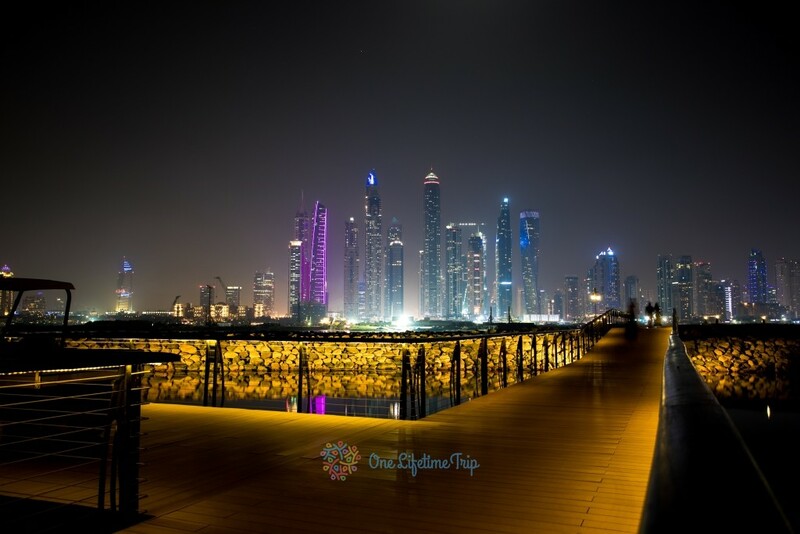 Perfect ambiance, great view along with Dubai’s special cuisine will complete your dream of exploring Dubai at night. There are many restaurants that offer candle light dinner for couples to make them feel special and enjoy quality time together. If you are thinking of what to do in Dubai at night and are willing to try out something new and unique, then going on desert safari is the best option for you. You can go for a romantic dinner on a luxury tent and have a great time together with your loved ones. Enjoy the delicious Arabian food along with Arabian music and enjoy the perfect ambiance. 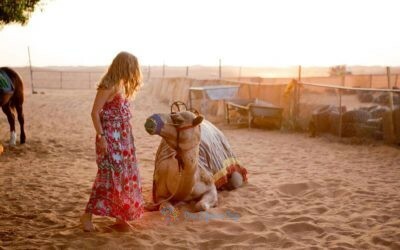 You can also enjoy camel safari, dune bashing, desert walk, and stargazing together. 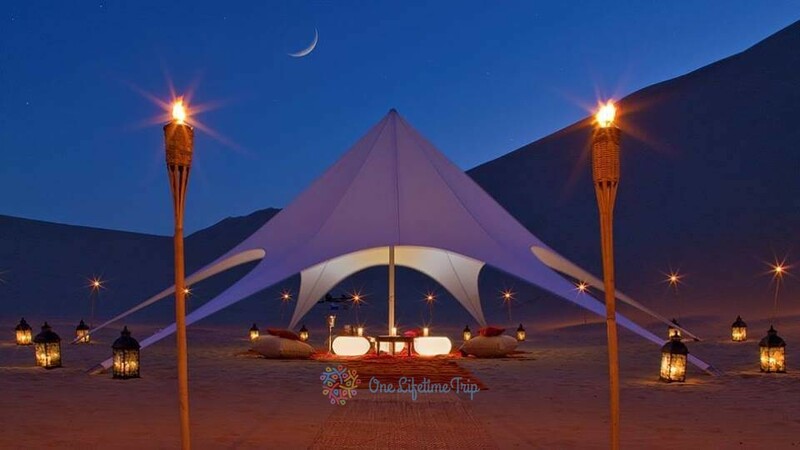 Camping under stars is again one of the exciting things to do at night in Dubai. During night when the sun goes down and the desert gets cold, the wide variety of activities begins. 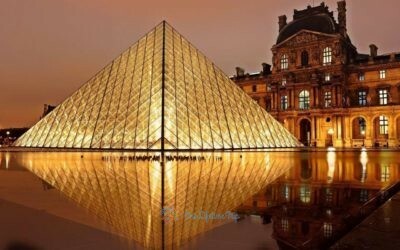 You can go in a group or with your partner and spend the most entertaining night of your life in this city. 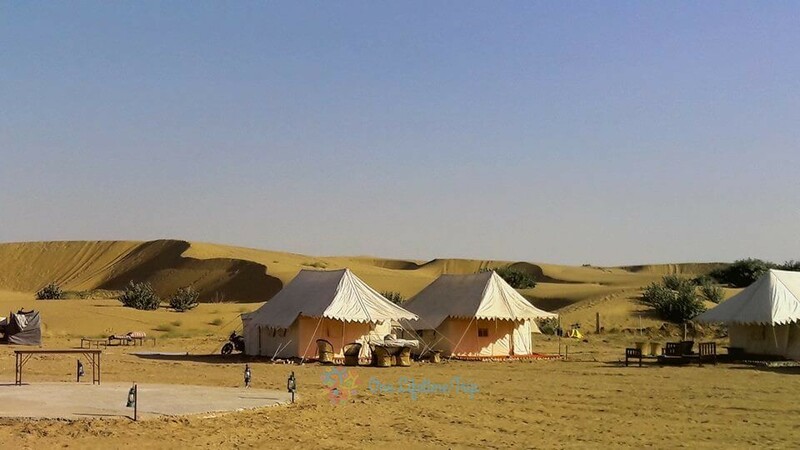 There are many camping options like the Caravans Camp, Arabian Oryx Camp, Arabian Adventures, Desert Nights Camp, and many more. Going on a helicopter ride and watching the spectacular view of the glittering night sky is one of the best things to do at night in Dubai. 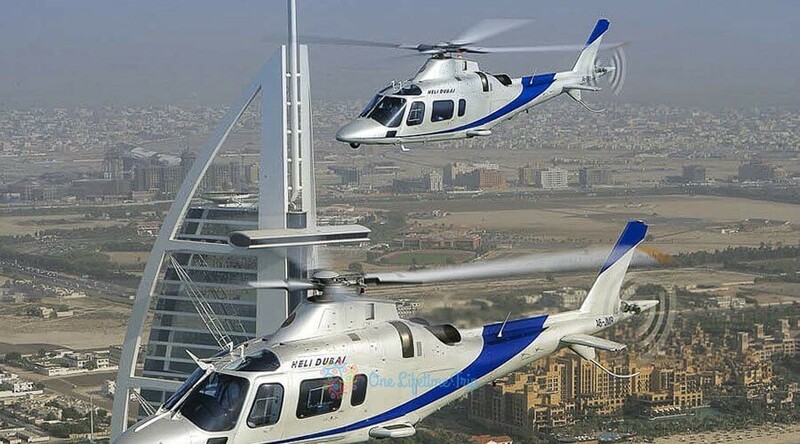 You can enjoy the great view of Dubai creek, Historical monuments, and glittering nightscape of Palm Islands in the 22-minute helicopter ride. Carry your camera to capture the beautiful moments of Dubai. This is the best thing to surprise your partner and take away beautiful memories of life. Going on a dinner date on a Dhow Cruise Marina is again one of the best things you can do at night in Dubai. You are going to fall in love with the spectacular view of Dubai while the cruise sails around the Dubai marina. You can enjoy the Arabian music along with the delicious Arabian food in the cruise with the best staff to serve their guests. This can be the best idea for spending your night in Dubai. 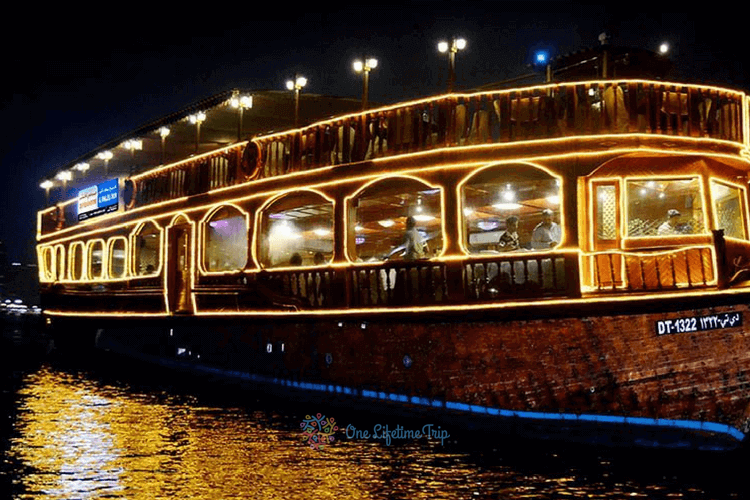 Go on a private cruise at night and enjoy the scenic view of Dubai creek with your partner. This cruise will give you the scenic view of colossal Dubai skyline while standing on the deck and enjoy the view of incredible Dubai. 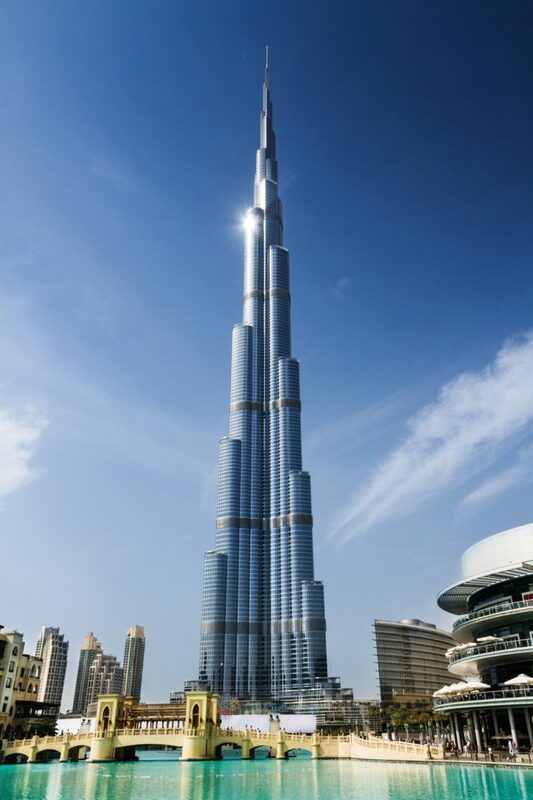 Burj Khalifa is one of the best destinations you can visit during night in Dubai. The looming skyscrapers and the enchanting view of Burj cannot be missed during night time. This world’s tallest skyscraper is going to make you fall in love with its incredible beauty. 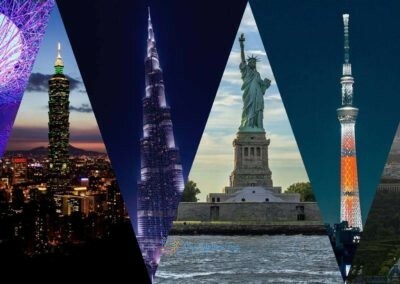 You can see the mesmerizing view of Burj Al Arab, Dubai Creek, and many other mind blowing structures from the top of the world’s tallest building. 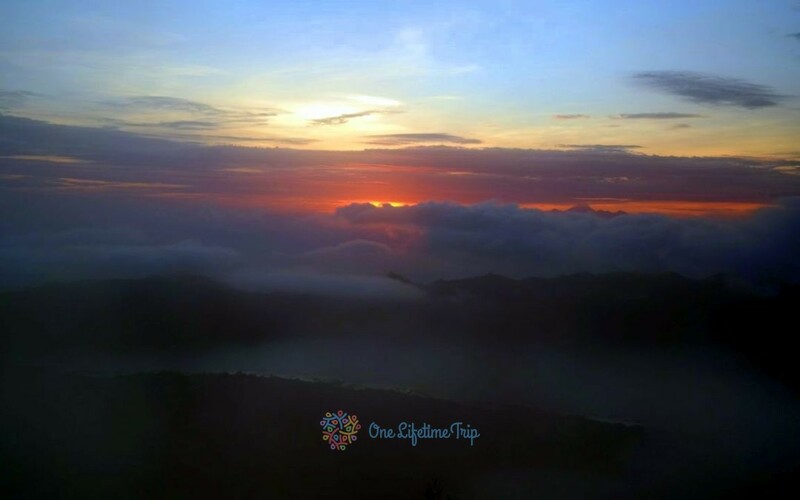 Go crazy with the view and enjoy the most beautiful view with all glittering lights around. Dubai is known as a shopping destination. Nothing can be self-satisfactory then buying things for yourself as well as for your loved ones. All the shimmering malls are the perfect place for night shopping. There are many malls that remain open till midnight for weekends. Deira City center, Night market at Jumeirah Beach, and The Emirates Mall are some of the malls that are open for night shopping, Carry your credit and debit cards and hit the malls to spend your night out in the most happening way. 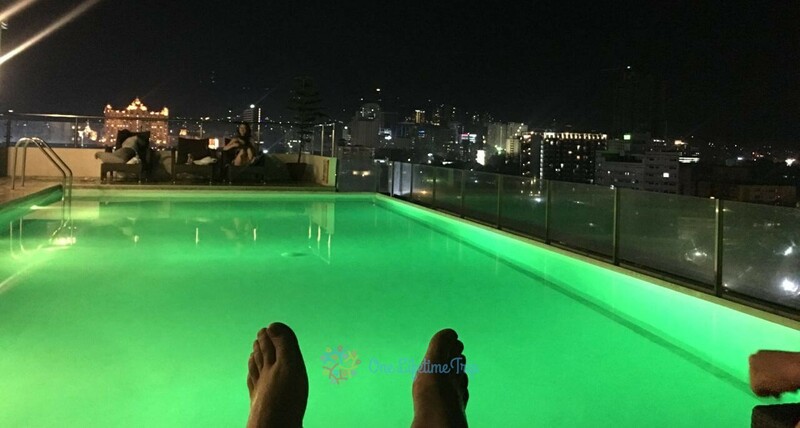 Going for couple’s spa can be a better idea for spending your night in the most romantic way in Dubai. Dubai has variety of spa options for their guests that makes them feel pampered and relaxed. There are many skilled spa magicians that give the best soothing spa with variety of options to choose from. Nothing can be more relaxing then ending your day with a good spa treatment. There are various spa treatments like honey based body polish, chocolate body scrub, aromatherapy, warm milk and honey, aromatherapy steam bath, almond oil wrap, and many more are some of the best rejuvenating treatments that are offered by the leading Dubai spa centers. Hitting the Chillout Ice Lounge is the best idea if you need a break from the heated desert temperatures of Dubai. This café thrives on -6 Degree Celsius and give the unique experience to their travellers. It is known as one of the most vibrant places in Dubai to visit during night time. Located in the Times Square Center, this is one of the best places to spend your night in the most happening way in Dubai. What can be more romantic then taking a walk on a beach at midnight in Dubai? 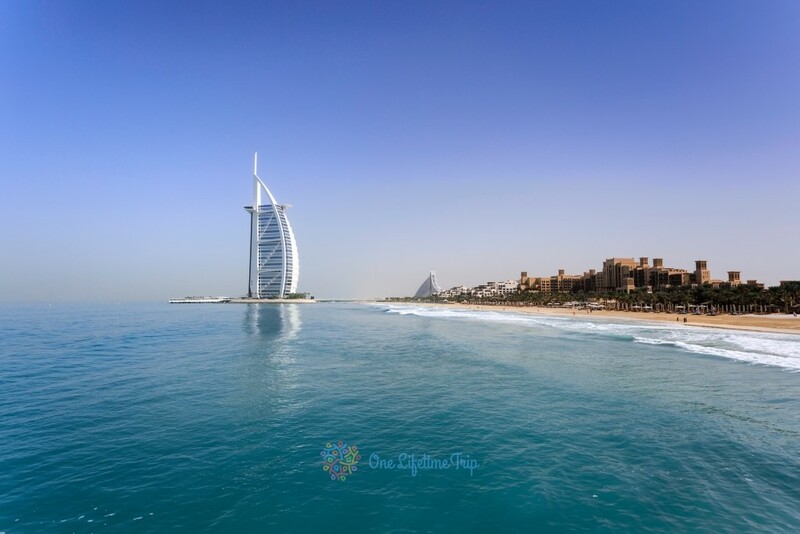 Jumeirah Public Beach is one of the classiest beaches in Dubai. You can enjoy the spectacular view of Burj Al Arab and enjoy the scenic views of sparkling lights of Dubai. 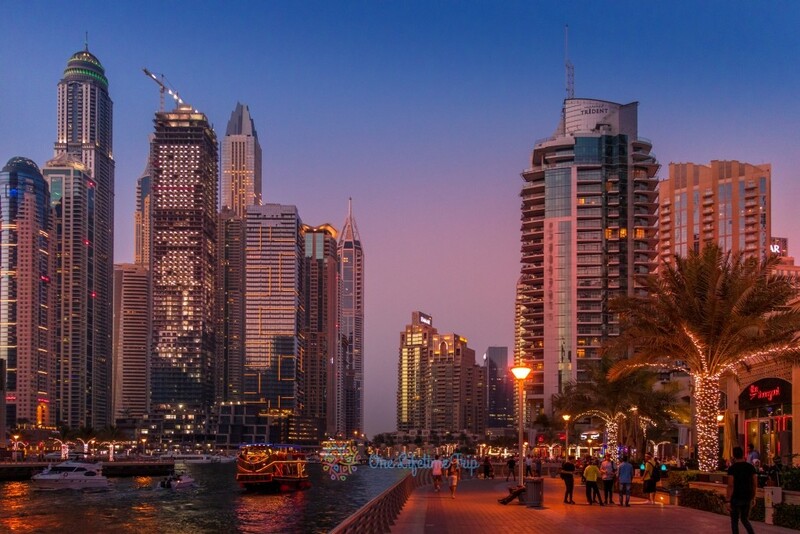 If you are thinking of what to do after midnight in Dubai, then taking a walk on beach is the perfect idea to feel the soothing breeze of the city and spending q quality time together. The man-made marina is surrounded by number of skyscrapers that looks incredible with dazzling lights. 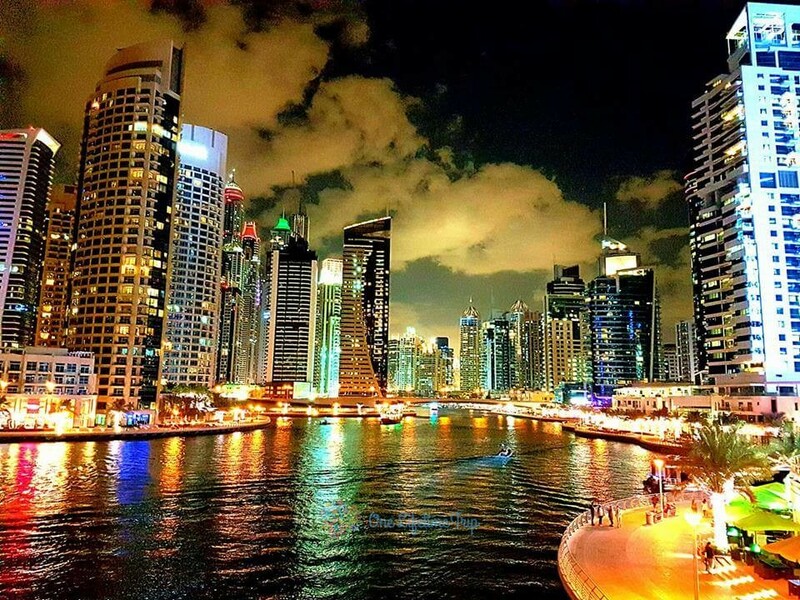 If you are thinking of what to do in Dubai after midnight, then taking a walk on Dubai marina is the best way to keep yourself relaxed and enjoy the most romantic time together with your loved ones. 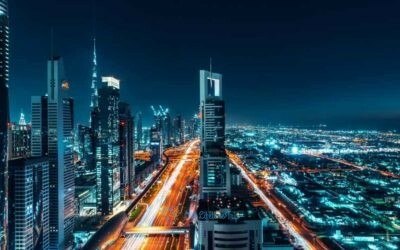 Enjoy these places to visit at night in Dubai and take away all the beautiful memories to cherish for lifetime. Must-Do in Cebu, Philippines: nature, fun and adventure. Perfect place to spend your holiday if you want something different. 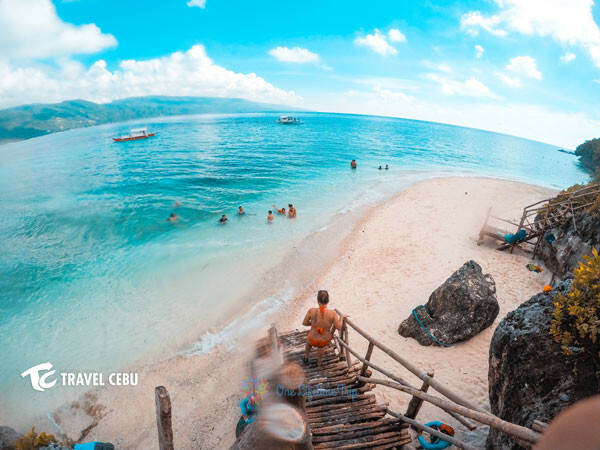 Cebu is the heart of the Philippines and is one of the best places to visit on earth. 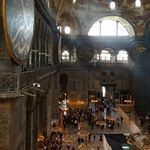 I have traveled to many beautiful countries, but I could still say mine is unique and is still a must-visit spot. If you are not familiar with the Philippines and Cebu, let me give you a brief overview of this country and city I am proud to call my home. The Philippines is an archipelago country located in southeast Asia. It is tropical. And, if you wish to get your tan on the east side of the world, you can get it from here. 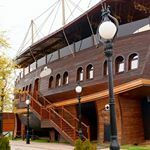 Moreover, you can venture to wondrous attractions at very affordable rates (You do not get to experience that from other parts; there, you have to empty your pocket to get the best experience). In addition, you do not need to worry about communication – The Philippines is English speaking. The country’s medium of instruction at school and at work is English. Public transport in Philippines is kinda chaotic and very confusing sometimes, but we suggest you always get the local feel of the transport by using the jeepney, a small open bus or the tricycle, a small sidecar found in most major and small cities. Bangkok has multiple options for finding a cheap or expensive place to stay. As I said, could be expensive but you can fit also on a budget. 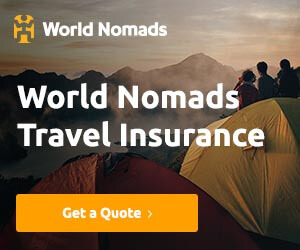 If you don’t have worry about your budget can book plenty of hotels rooms and pensions where you like on www.booking.com or www.agoda.com. 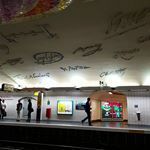 It’s a huge city and must consider how much you will to walk, how close to the city center it is your place. 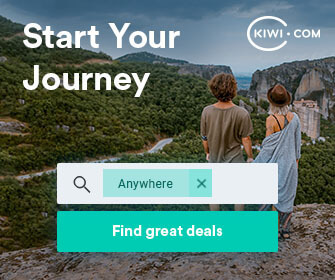 If you like to hang out with a local you can book a room on www.airbnb.comand you can find a good price for your accommodation. First of all, it’s a chance for you to talk with a native and learn about day by day life in new york city. It’s a great opportunity for making new friends maybe for a week or maybe for a lifetime, you never know. Hostels are less expensive than a hotel room. Why spend 300$/night for a hotel room when you can spend 30$/night for a hostel room?! The culture of making friends never fails to amaze people. With a hike in a number of tourists, Cebu has seen in the past years, the city has grown to make its economy strong out of it. This has brought up everything from hostels for outgoing people to those lux stays. Basically, you just shed any amount of money and you will still find a place to crash out for the night. 1. Explore on Pristine Beaches. Cebu is an island with other mini islands. If you do not get enough seas in your country, then Cebu can overwhelm you with multitude breathtaking shores and waters. Top pick would be the beaches in Bantayan Island. 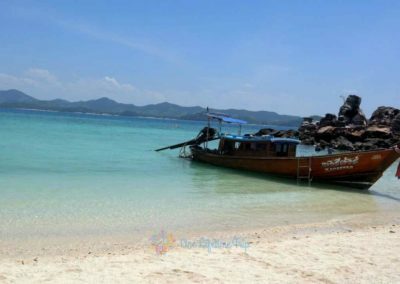 This is where you can relax and enjoy the tranquility of a peaceful island that has white sands and clear waters. Another island which could provide you with rich marine life and activities is Sumilon Island Bluewaters. Other runner-ups are Malapascua Island and Camotes Islands. Whale sharks are huge sea creatures…but do not let their size scare you. For, whale sharks or locally called “butanding” are coined, gentle giants. 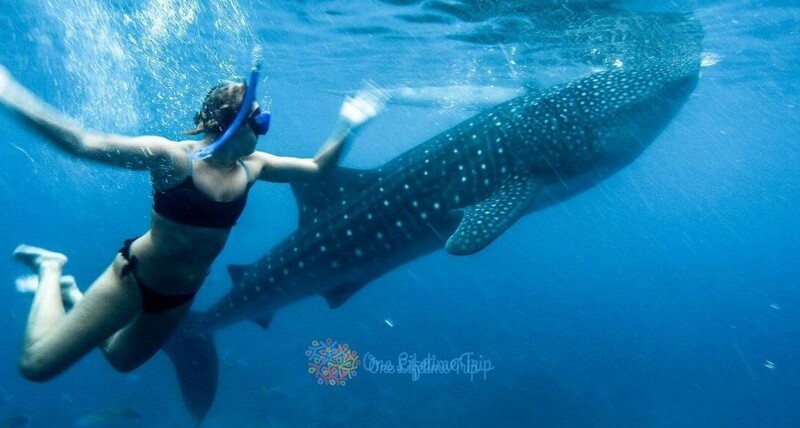 In Cebu, you can actually not only see them from the boat, but you can also swim with them! You do not get this kind of an encounter in many parts of the world. Thus, this should be on your to-do list when you come to Cebu. 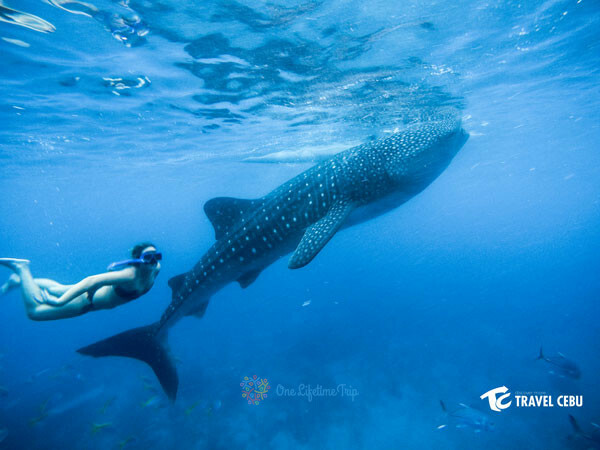 For more information on how to get there, and to take you to that experience (and more), you can book a tour package on Oslob whale shark watching. 3. Take a City Tour. The city tour package of Cebu is a hodge-podge of itineraries. It can bring you to the nation’s heritage sites. In the Philippines, Cebu has a rich, if not the richest, history. It is where the first Spanish colonizers set foot and first spoke of Christianity. The Philippines is the only Christian nation in Asia. Filipinos are among the most religious group you can see. In the city tour, you can also visit the wonderfully structured churches and witness how Cebuanos (or Filipinos in general) practice Roman Catholicism. Also, another feature of the city tour is bringing you to the mountain tops. Elevated hills and mountains can be traveled for as short as 30 minutes. You could get a magnificent view of Cebu on top. 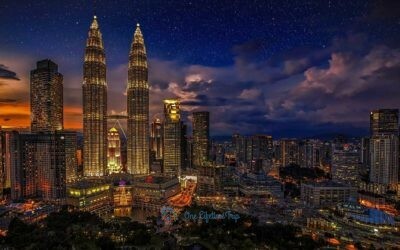 During night time, the city light sparkle in the dark…It is such a placid undertaking. 4. 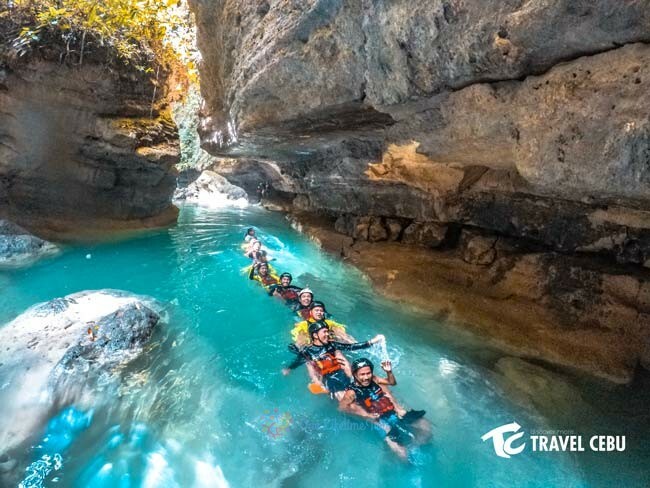 Engage in Canyoneering Adventure. Canyoneering is truly an adventure since you are to trek, climb, and jump off a fall. In Cebu, a popular destination for this activity is in Badian, southern area of Cebu. Specifically, it is there where the most amazing fall, Kawasan Falls, is situated. If you may be terrified of heights, it is the best time to defy your fear and plunge into canyoneering in Cebu. You will be led by licensed canyoneering guides. And, you are provided with the proper gears for the wild activity. To top it all, the beauty of nature will absolutely take your breath away. 5. Eat the Strangest Food on the Planet. Voted by most international food travelers as the weirdest food of the world is found in the Philippines. “Balut”, an egg with unhatched fetal duck, is said to be the strangest food you must try. 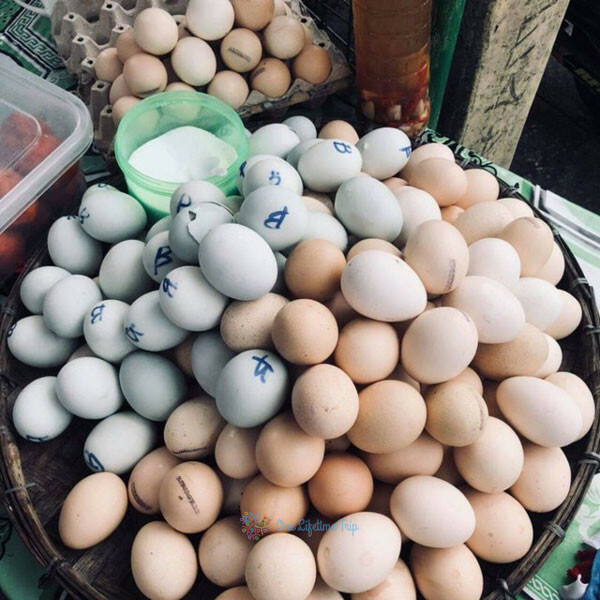 In Cebu, you can get Balut as street food. You can choose how many weeks the duck embryo or fetus would you like to have. Many Filipinos love the taste of Balut. The way to eat it is by cracking the egg, then removing the top part of the shell. After, you may place a little salt on the egg which may have liquid in it. Then, sip the juice. Slowly remove the remaining shells which will later reveal the little duck. Take the duck, you may sprinkle spicy vinegar on it. Take a step further: place the tiny animal in your mouth…and chew. Finish your balut by placing salt and vinegar on it once in awhile. Balut gives you energy and is even an aphrodisiac. There are myriads of things you could do in Cebu that you will never forget. 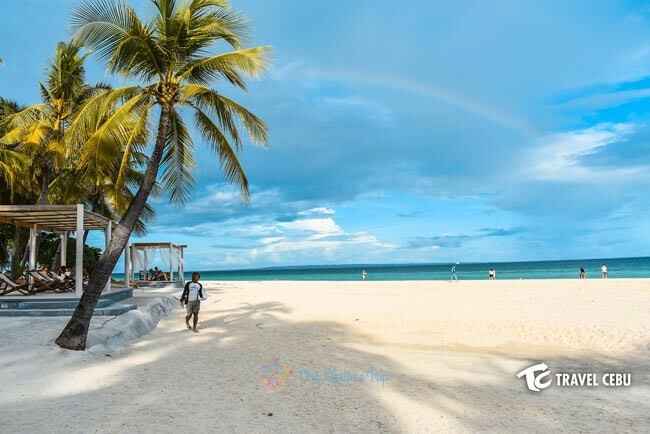 For a hassle-free trip, you may opt to book with a reliable travel operator which can bring you to the best Cebu itineraries and arrange everything for you. In Cebu, Travel Cebu is a highly recommended travel company. Also, there is a fine Cebu tour package you can choose from. Do not miss all the must-visits and things to in Cebu that is accounted here so you can get the BEST Cebu experience! 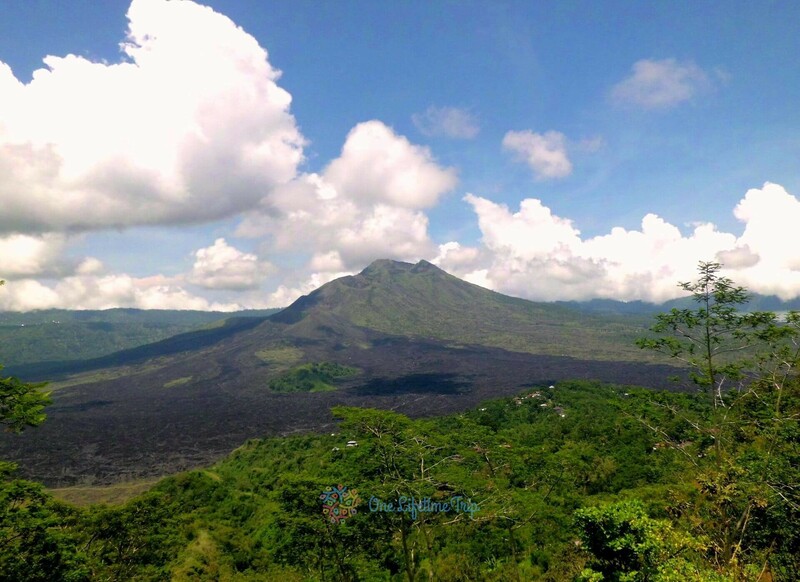 Mount Batur is located in Batur village, Kintamani, Bali standing tall at 1717 m above sea level but there even a higher point you can climb to 1820 m.
Since this is a very active volcano, it’s last eruption was in year 2000, but nowadays it’s mostly green and easy to trek. 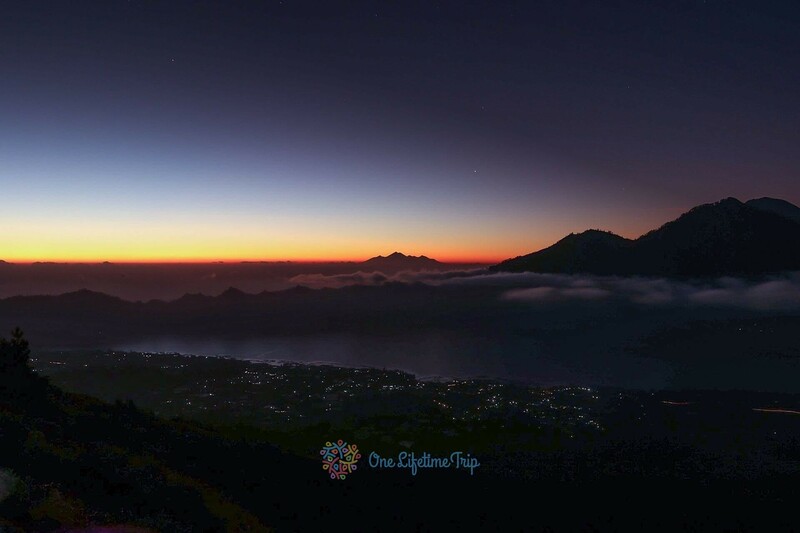 We suggest you go to there to catch the morning sunrise with amazing views over Mount Agung which last erupted in January 2018 and Lake Batur. Despite many saying the trek is easy, i considered it’s easy but dangerous to do it alone, the trek splits in 3 parts, part one is very easy taking on a road and though normal bushes, part two is made of volcanic ash and volcanic lava with dangerous spiky corners and part three from camp to top of the mountain is purely only volcanic ash and hard rocks. 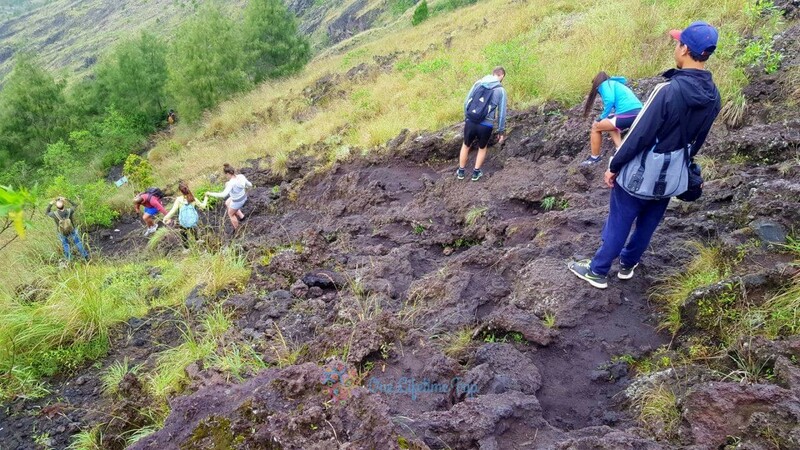 The volcanic ash is very slippery especially if you don’t have good shoes, I’ve personally seen few people that couldn’t go down off mountain because they were slipping and they needed assistance. The spiky rocks and volcanic hardened lava can sometimes make your trek hard also depends on your shoes, I’ve seen two guiz actually hitting their back because they slipped on the lava. 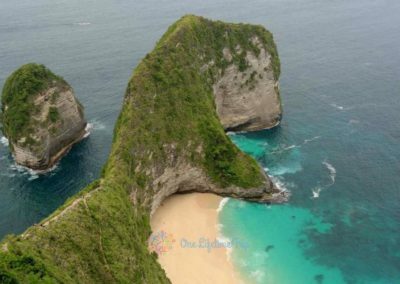 Starting in 2018 it’s illegal to go there by your own and you can only do it with a authorized guide for different prices, i’ve seen from 300.000 IDR (20$) up to 700.000 IDR (50$) for the same thing it depends where you book it from. 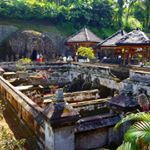 The tours usually include pick-up from Ubud or Sanur, then they take your for a morning meal and coffee and also give you a prepackage food to take with you on the mountain to eat it when you get there. 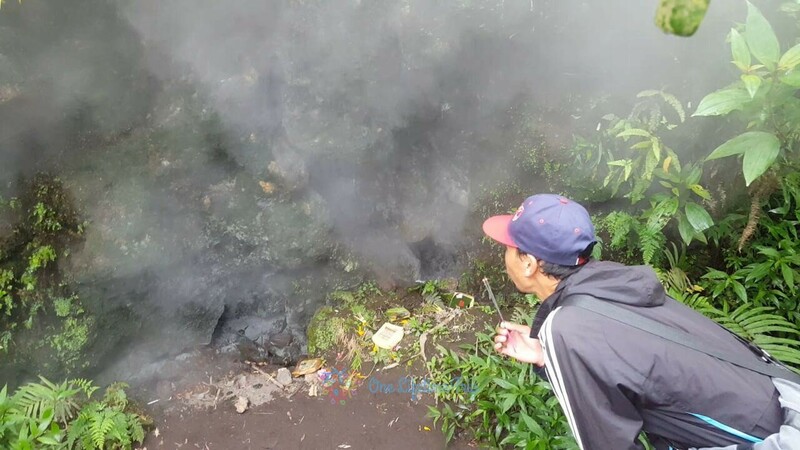 Most tours also include a few other stops to a coffee plantation and hot springs at the bottom of the volcano, i suggest you take the tour that includes the hot springs because after a long day of trekking it’s perfect stop in hot springs. Take notice there are tourist hot springs where you need to pay to enter and free hot-springs where locals go so make sure you don’t pay for free. The camp or Submit it’s located at 1717 m and it’s the place where most of hikers stop but if you arrive early you can go even higher to the next point which takes about 30min – 1 h to reach. At Submit you can see plenty of monkeys and a chicken but also be careful with the volcanic sulfur that it’s invisible to the eye. Most tours will give you everything you need including a Headlamp, but you should bring your own because we’ve noticed a lot of people that middle way will shut off and you’re going up on mountain during the night. Water and Snacks – The trek will take anywhere between 2 hours to 4 hours it all depends on the group that you are with and how many stops you gonna do and there is nothing you can do about it unless you hire a private guide. 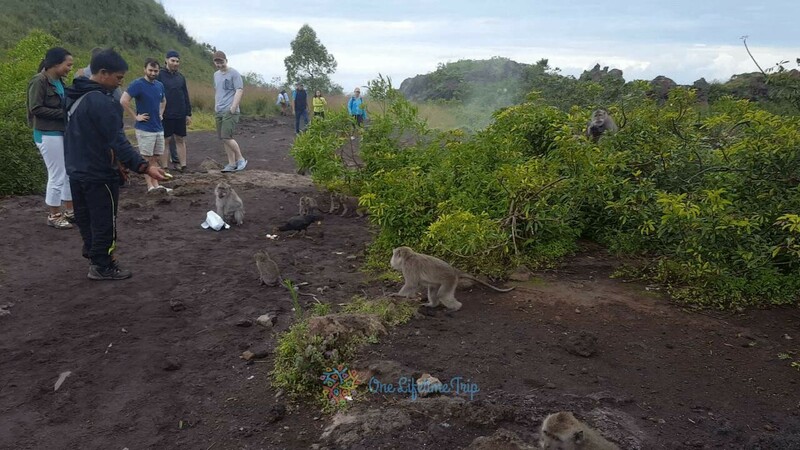 Usually, on top of a volcano you wouldn’t expect to see animals, but here you will discover some monkey families who would enjoy to eat your breakfast, but the big boss here is a black chicken which that teaches the monkeys a lesson when comes to food. 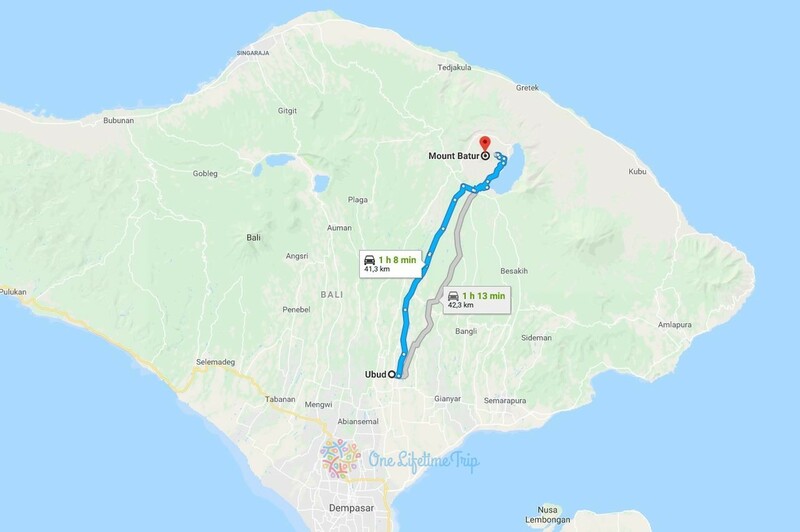 Closer to caldera you can find some hot points, we are pretty sure your guide will show these points and if you have some fresh eggs you can boil here also it’s perfect for a breakfast on top of Mount Batur. 02.00 – 03.00 am: Pick up time (depending on location). 10.30 am: Stop at hot springs (optional). 13.30 am: Stop at a Balinese Coffee plantation (optional). 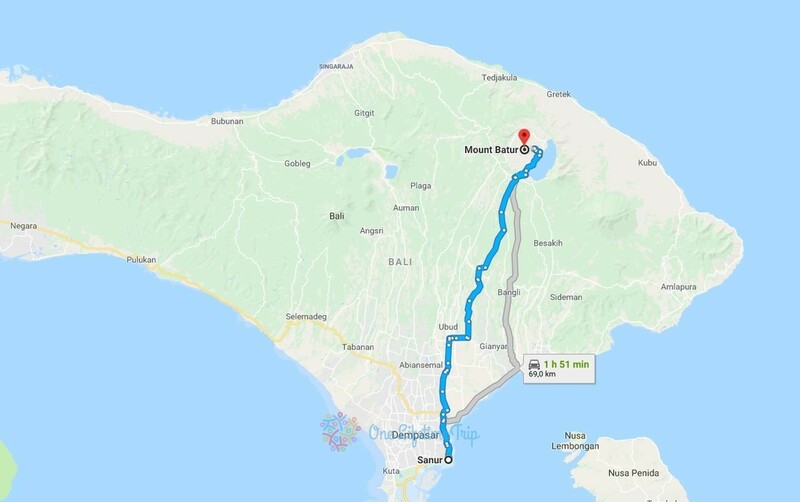 14.30 am – 15.00 pm: Return arrival at your hotel (depend on location).